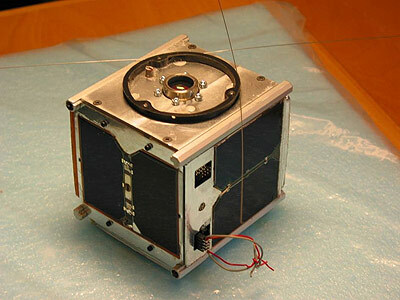 The main purpose for the AAU-Cubesat (Aalborg University Cubesat) project is for the involved students to achieve a great deal of knowledge about designing and constructing Space worthy technology, but the "scientific" mission of the AAU-CubeSat is to take pictures of the surface of the Earth and particularly of Denmark by using the on-board camera. The images recorded by the satellite were later transmitted to the ground station, located at Aalborg University, from where they were distributed over the Internet and made accessible for the general public. Several success criterias have been defined. A basic success criteria in this case is, to develop and build a satellite which is able to survive the launch and the hazardous environment in its orbit. Another success criteria is establishment of a communication link with the ground station informing about the status of the satellite. Finally to point the on board camera towards a specific target on the ground, to take an image and to send this data down to the ground station, represents the final success criteria. That the involved students have achieved some useful knowledge of space technology. That communication is established with the satellite and housekeeping information is retrieved. Take and download any picture. Take pictures of certain locations on earth. Take pictures of celestial objects and experiment with the various subsystems. The satellite was successfully deployed in orbit, but no signals were received.